Nostalgia Time: White Dwarf 125 - What Was Your First? 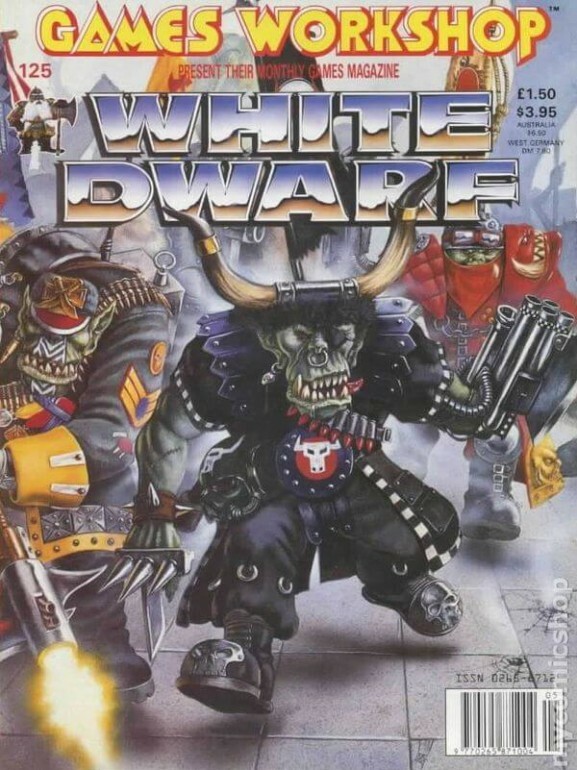 HomeEditorialsNostalgia Time: White Dwarf 125 – What Was Your First? 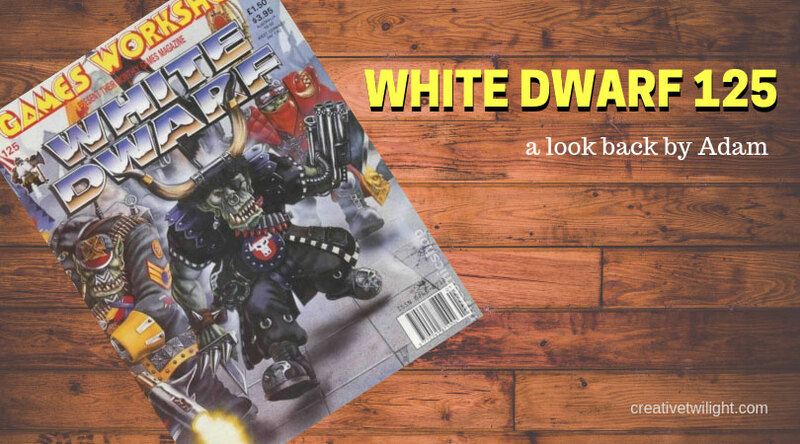 Nostalgia Time: White Dwarf 125 – What Was Your First? 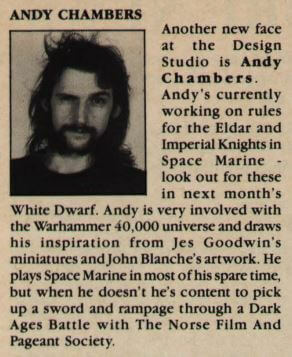 Whilst perusing Mengel Miniatures on my regular trawl of the blogs, I stumbled across an article about “My very first White Dwarf” and it got me all nostalgic and thoughtful. What was my first White Dwarf? White Dwarf 125 was the first issue that I bought. It’s long since lost, unfortunately, to a house move that went bad. And then Games Workshop released the End of Times and then Age of Sigmar! Omens and portents abound. Back in the halcyon days of 1990, an avid gamer was limited to whatever stock could be found in the FLGS (in this case, Mind Games in Frankston or Melbourne). Either that or ordered through the catalogue pages in the back of the White Dwarf or ordered direct from the UK; expensive at the best of times. I particularly remember this issue as it contains an Advanced Hero Quest scenario, The Dark Beneath the World, based on a Gotrek and Felix story that introduced me to the deranged Slayer and his human sidekick. I was unimpressed to have to play the Slayer protagonist in the scenario. That was until our GM threw swathes of nasties from the dungeon’s depths in our path. Gotrek the Slayer waded through seas of spilled enemy blood to help claim the prize; a lost Templar blade guarded by a Chaos Troll. Other interesting things in White Dwarf 125? White Dwarf 125 is a throwback to a bygone era. It reminds me of a different time. 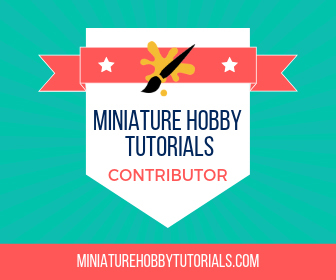 It also helps to remind me of the hobby that I love so much and the ways that it has evolved! Way back in the day! It was around then that they included the templates for making a Baneblade. Unlike your success mine met with a very messy, half-assembled end. Those were very different times. I couldn’t tell you which wss mine at all, some issue from the mid 90s I would say. I’ve heard the latest WD didn’t include too many advertisements. Yeah, I’ve heard that too. I think it warrants have a look at the latest issue just to revisit and see. I can’t recall the exact number, but it was somewhere in the very low 200s. I think it was the one with the first teasers for Gorkamorka, and IIRC, some of the last wave of Models following the release of the 2nd Ed Chaos Codex. Some very cool stuff, that’s helped define my vision of the setting and game ever since. Sounds like you got in around the same time as me. I still fondly remember those Gorkamorka battle reports, and playing a few games with my buddies! Sometime in ’97. I never did get to actually play Gorkamorka, but the stuff from it formed the basis for my Ork Army for quite some time. I got into 40K in 2006, and everything I heard about WD back then made it not seem worth getting. It was a big billboard for all the miniatures then, not an asset for a gamer. It’s gone back towards what I once was in recent years, again from what I hear, but I still haven’t picked it up. I don’t know. I think a physical magazine is a tough sell these days. Anything worthwhile in the magazine will end up online anyway, so why spend the cash for it? It’s just a different time. The main thing I can think of that would really help push it is cardboard inserts, like they did a lot in the 90s. Little bits of cheapo terrain for people starting out, Datasheet reference cards for a Unit of the Month, stuff like that. Things where the value is in the actual physical object, not just the information. Other than that, yeah, not a whole lot of point. You can’t go wrong with cardboard inserts. At this point, they could also add in exclusive Underworlds cards, 40K Stratagem cards, Champions Booster, etc.